Lisianthus is the premium cut flower used by professional cut flower designers. 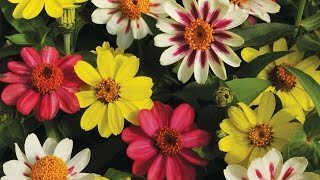 With these three beautiful varieties planted in your garden, you will have a constant supply of the best cut flowers available for your own flower arrangements. Lisianthus, Deluxe Rose Cut Collection is rated 3.8 out of 5 by 19. Rated 4 out of 5 by Richmond girl from Consistently great EXCEPT in 2017 I buy these plants every year from Burpee or Park (years ago-they no longer carry the plants) and grow then in long raised bed rows for cutting. Every year they have been spectacular except for last year (2017). I agree with other reviewers on this point and do not know what the difference was in the growing phase prior to them being shipped out, because all other growing conditions were the same for me. I am an experienced gardener and tried several different remedies including adjusting the soil ph slightly, as I read that they are sensitive to non-optimal ph. I finally got some blooms but nowhere near the same volume as usual. I was very disappointed as I spend a lot of money on these plants and make a lot of summer wedding bouquets and centerpieces. Rated 1 out of 5 by Koko from Did not perform well... :( Did not perform as well as expected. Plants did not come with instructions. Looked up planting instructions and took extra care while growing. Have only gotten three (3) blooms from all the plants that I purchased. Very, very disappointed. Will not purchase again. Too costly. Rated 4 out of 5 by lovedirt from pretty in a vase! I order this plant every year. They are a bit of a later bloomer-which I love. They require a fair amount of watering and often need staking but the flower is lovely and worth the fussing over. Rated 5 out of 5 by MadScientist from Flowers are growing great! I have purchased these before. They are beautiful and easy to grow. I put them in large pots on my deck. Rated 1 out of 5 by Lisianthus and LA Dreamin from Great disappointment I purchased these because I thought they would grow in my Florida garden. They arrived very small and grew to about 8 inches tall, one bloom, and then they just leaned over and died. I have great success with Burpee seeds but I will not purchase plants again. Last year I tried to grow LA Dreamin hydrangea from the spindly plants that arrived and they died too. I'm an experienced gardener who follows all the rules. Very disappointed. Rated 5 out of 5 by Peg US from Lisianthus, there's nothing like it! These flowers are a joy and a miracle. As my cousin promised, they grow well. You keep cutting them to fill your vases, and they keep coming back! A great looking flower in the garden and in the home as well. Rated 5 out of 5 by Baby Annie from I love them I ordered them this year for the first time, they are gorgeous, please send me spring catalog. My friends want them also.